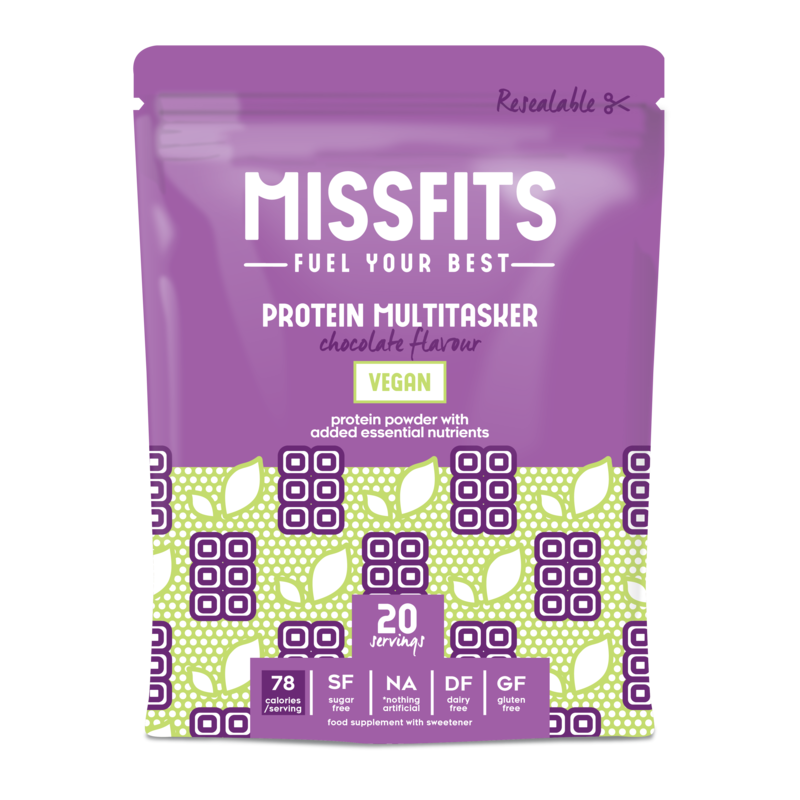 Keep your body strong and your mind sharp with the Protein Multitasker. 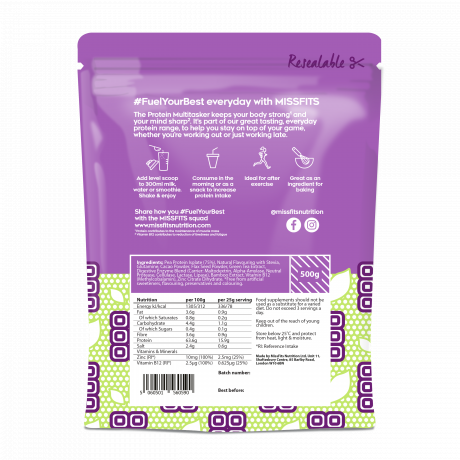 This premium pea protein isolate blend contains no sugar and absolutely nothing artificial. Developed by leading nutritionists, vitamins and minerals are included to leave you feeling your best both inside and out.Only 78 calories per serving, No sugar, Nothing artificial, Dairy free and Gluten free. 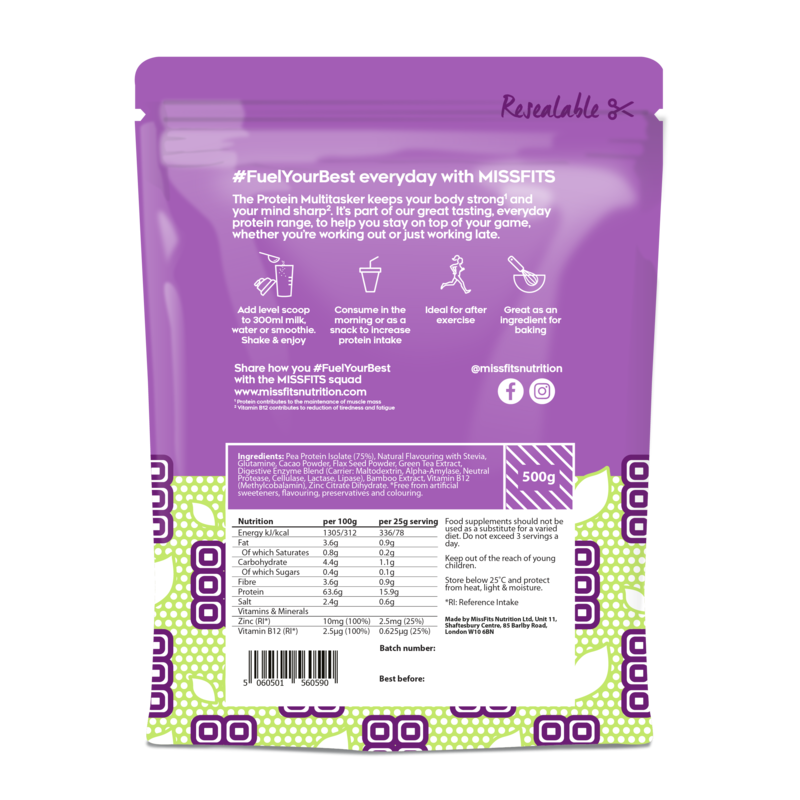 So whether you are working out or working late, stay on top of your game with MISSFITS, and #FuelYourBest everyday. This is by far the best vegan protein I've ever tried! This is by far the best vegan protein I've ever tried! It's great to have so many flavour options, all of which are great. I'd recommend this to anyone trying to incorporate more protein into their diet - my boyfriend has even started using it! 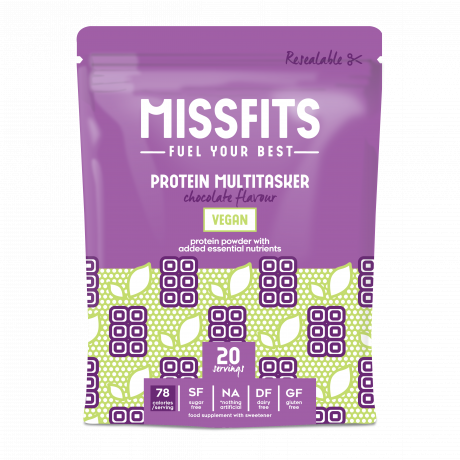 This product is dispatched by MissFits Nutrition . This item has a shipping weight of 500g. Please note: this item has special delivery requirements so £2.50 is added to the delivery charges indicated below. In order to make every sweat count, you need the right nutrition at the right time. That’s what Missfits Nutrition is here for.